Earlier Friday, Trump traveled to Long Island to announce a war on gang members in the United States. 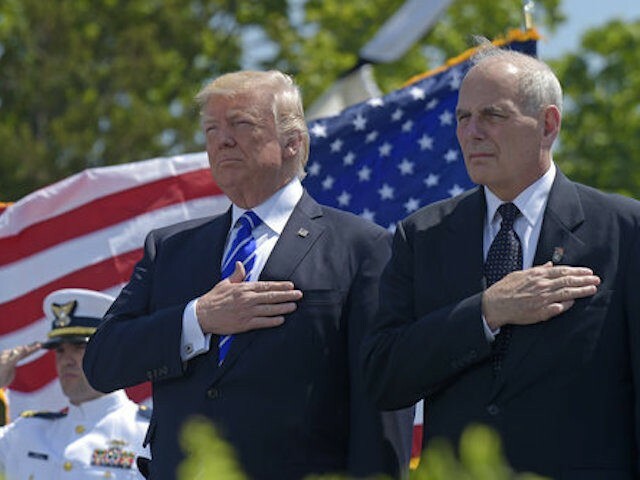 The president has appeared several times with Kelly to recognize the importance of the armed forces. Trump’s decision signals that he wants more gravitas and discipline in his chaotic White House, relying on a retired Marine General to take the place of Priebus — who sometimes struggled to earn the respect of the president’s staff. Despite his familiarity with Washington D.C. and friendship with Speaker Paul Ryan, Congress failed to deliver a bill repealing and replacing Obamacare. In an July interview, Kelly said that when he was contacted by Priebus for a job in 2016 after the election, he “literally did not know Mr. Trump at all, and I didn’t know anyone that knew Mr. Trump” and joked that he thought it was a prank from one of his retired friends.